There's been a lot of stir over these 'new' race gates that Luke (BanniUK) and others had been flying. Down in Reading (big up #NoobCentral) the guys were practicing with them and once I'd seen them from DVR footage I just knew I had to get my own! Here's a quick video of JusticeFPV in action with them in his favourite woods flying spot. Slighty smaller than normal race gates - what better way to practice than to prepare yourself in smaller gaps than you will fly on race day? It will make normal tracks seem huge and allow you to push with speed. 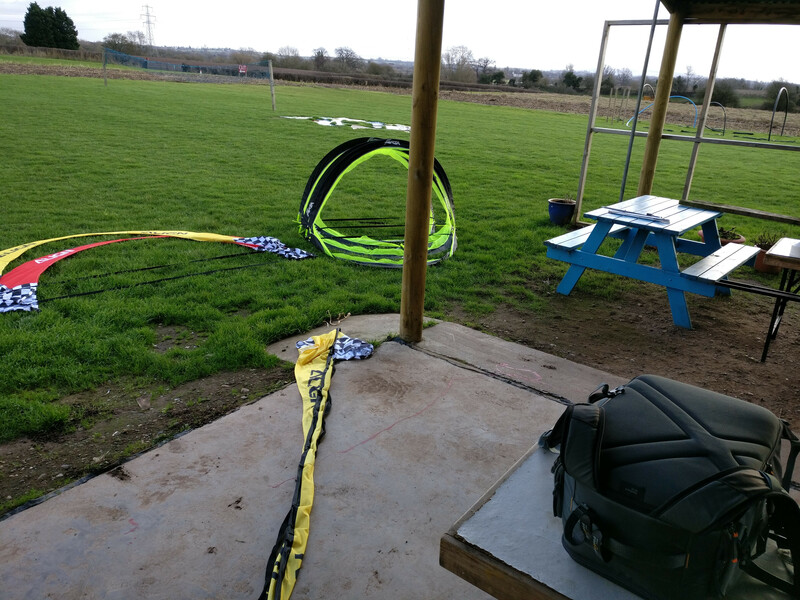 Easily 4-5x quicker to setup than a normal gate, you just pull them out of the bag, undo the Velcro holding the 2 ends together and it pops out like a tent into shape. Quality material that has taking a beating so far - though they haven't been tested in the long run they're holding up good so far. Elastic-attached pegs mean even if you hit the gate super hard it will just pull the peg out or pull on the elastic. Nothing to break! Works indoors without any extra items needed. You would probably want to weigh them down, but if you just leave them sitting on the floor they won't go anywhere when you fly through them, only when you hit them. Comes with storage bags that are easy to transport, though they are still quite big..
As you can see, compared to the Align gates they're quite a lot narrower in terms of width, while being of a similar height. Compared to the various gates we use in the UK (and MultiGP for reference to the International people as we don't use MGP much here yet), they come in a little bit smaller than the rest. To put into perspective how quick they are at setting up I can setup 4 of these in the time it takes me to put together a single Align gate, and I already speed that process up by leaving the pole inside the material! What do you need to do to get them race ready? Well you literally just have to cut out the inner netting, and that is it. I used a pair of scissors. 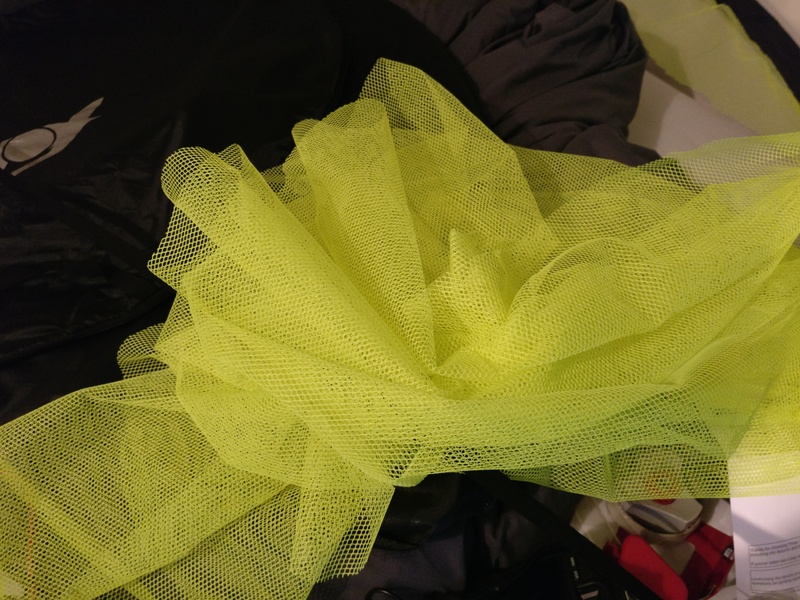 I will probably use the netting for something (though I'm not sure what yet) so I've kept it all spare, you know just in case (that's probably why I have so much stuff....). I've purposely left some of the green material in (around 5cm all the way around) as it makes them easier to see (if it was just the black material it would be quite difficult), and it also makes the gates that tiny bit smaller as well making for even better practice. Simples! I plan to do more blog posts that are smaller and just cover some small points (you know, like a blog), as I actually do a lot of stuff outside of the main reviews such as 3d model designing and various other stuff.